Kate Upton announces her and Justin Verlander are expecting their first child together. 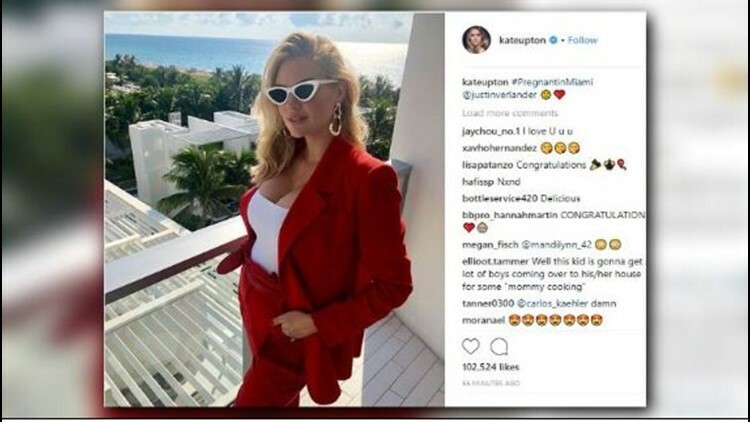 Supermodel Kate Upton announced Saturday she gave birth to her daughter with husband and Houston Astros ace pitcher Justin Verlander. Genevieve Upton Verlander was born to the star couple Wednesday, according to Upton's post. The two have been married for a year after dating for several years prior. Upton announced her pregnancy earlier in July.